The X-FILES Arrives in Los Angeles For Special Marathon Screening This Saturday! A good sequel or TV show reprise on the horizon means one thing and one thing only… schedule your marathon to binge watch the original STAT! 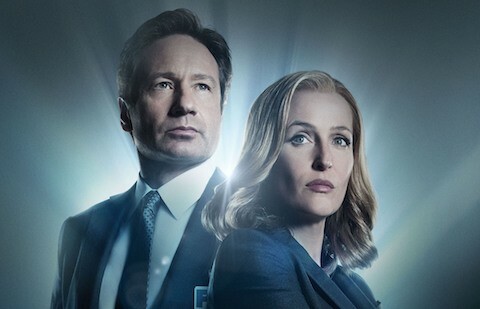 Well, Mulder and Scully (aka David Duchovny and Gillian Anderson), the stars of the moody and cinematic 90s phenomenon The X-Files—”one of the most elaborate, long-winded, beleaguered, and beloved cult sci-fi series in TV history” (Wired)—are poised to return, and Cinefamily is prepared to ensure that you are ready. With the show’s six new episodes beginning Jan 24th on FOX, the time is nigh to survey the best of the beloved science fiction drama’s previous seasons. The Cinefamily is one of Los Angeles’ premiere nonprofit cinematheques, with a mission to revitalize the filmgoing experience by fostering a sense of discovery, and building a community around its exceptional, weird and wonderful cinematic events. With a daily line-up that is “breathtaking in its scope and ambition” (Peter Martin, Cinematical), The Cinefamily is transforming the landscape of first-run art house and repertory cinema through distinct programming, unusual events, and vital cultural collaborations. The L.A. Weekly described its opening in 2007, as “a climate-altering event for Los Angeles moviegoers.” In 2013, Executive Director Hadrian Belove was named as one of Indiewire’s top 40 Influencers in the world of independent film. Memorable events include Truth and Soul, Inc., The Films of Robert Downey Sr., the L.A. premiere of Cave of Forgotten Dreams, done as a pop-up 3-D screening inside the Natural History Museum with speaker Werner Herzog and a 5000 person after-party, the LA cast and crew sneak preview of Boyhood, reunion events (Space Ghost, Party Down, The Adventures of Pete and Pete), and musical performances by artists including Stephin Merritt, No Age, and Tenacious D.